This canvas hangs in our bedroom. A no brainer for the third purple day, especially as outside, is windy, wet & grey! Gorgeous purple anemone - just beautiful for the rainbow ! What a pretty shot! That colour is so deep and rich and elegant! Well done! Oh it’s beautiful! My photo today is a photo of a painting! 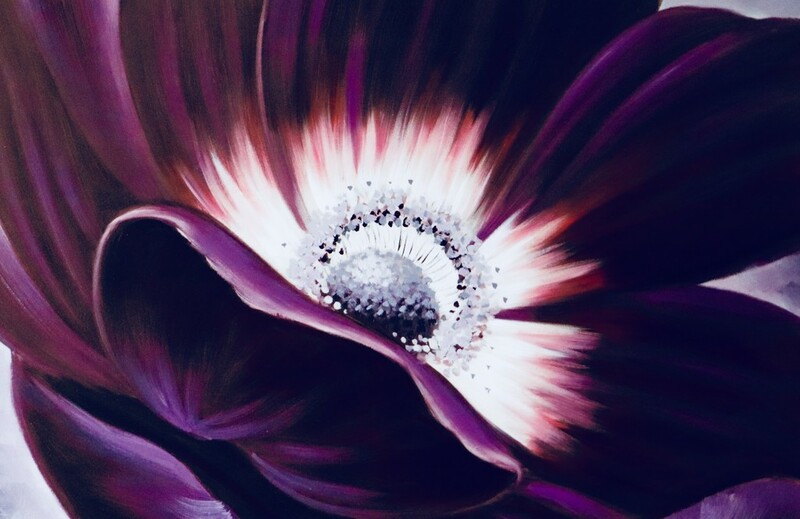 A beautiful flower - is this a canvas of a flower image you took? @365karly1 no, I didn’t take it I’m afraid.